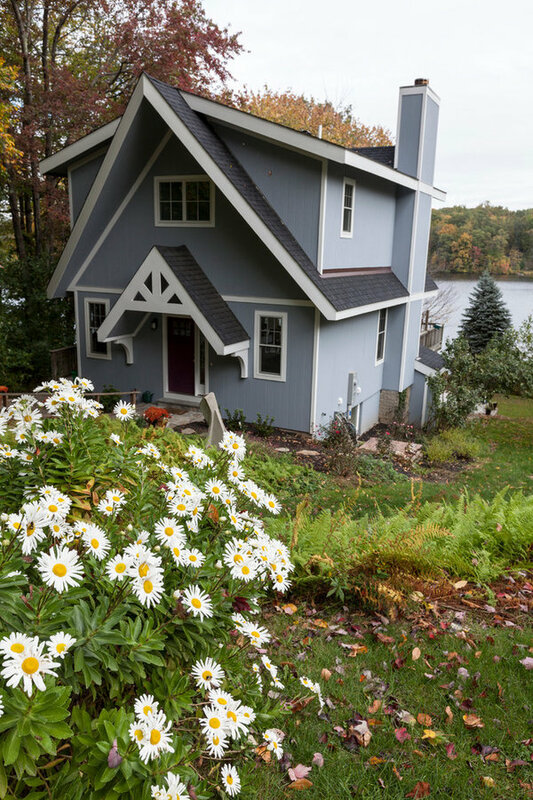 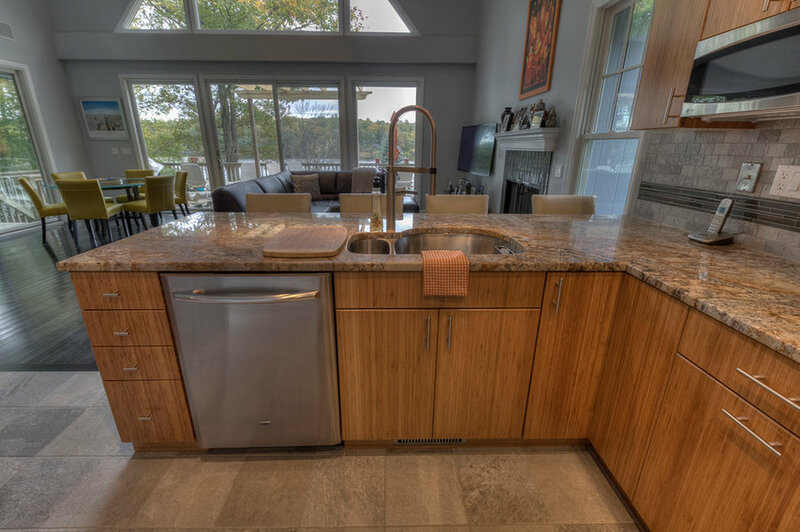 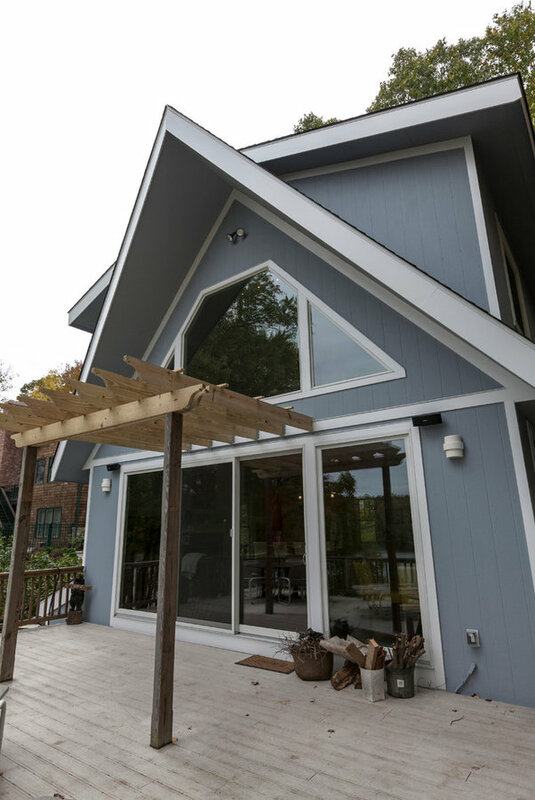 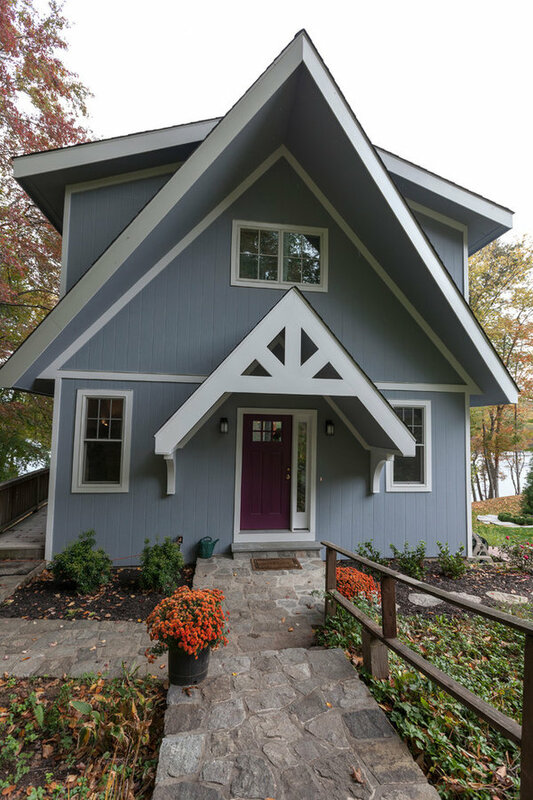 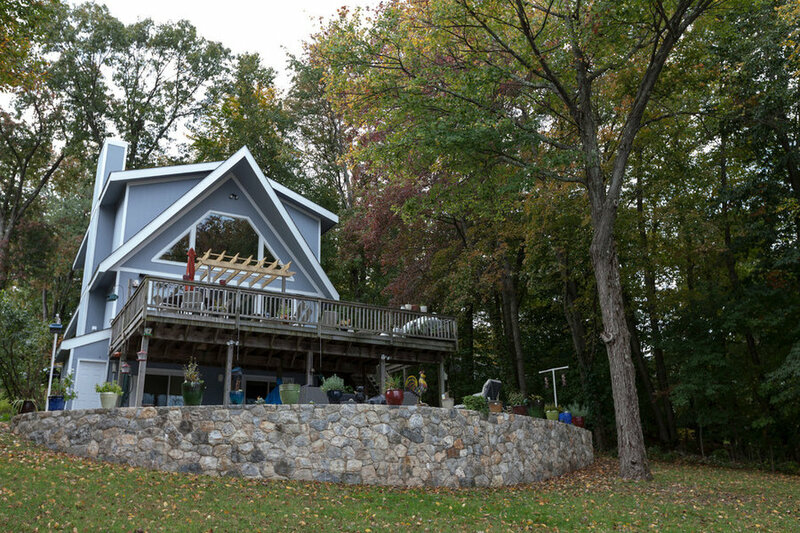 When these homeowners had to tear down their vacation home due to extensive water damage, they decided to make the best of an unfortunate situation and use it as an opportunity to build the getaway of their dreams. 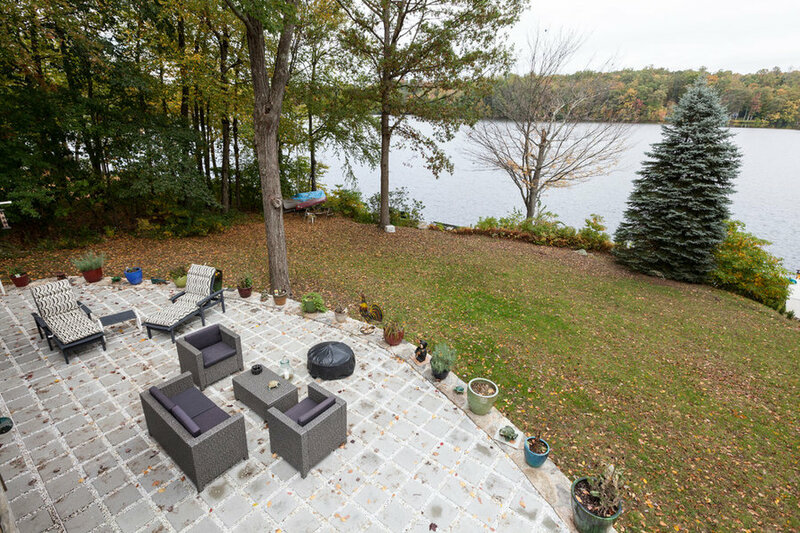 Calling on the experience of Simply Baths & Showcase Kitchens and the design expertise of Rachel Peterson, they designed a new open-concept & modern lake-side escape. 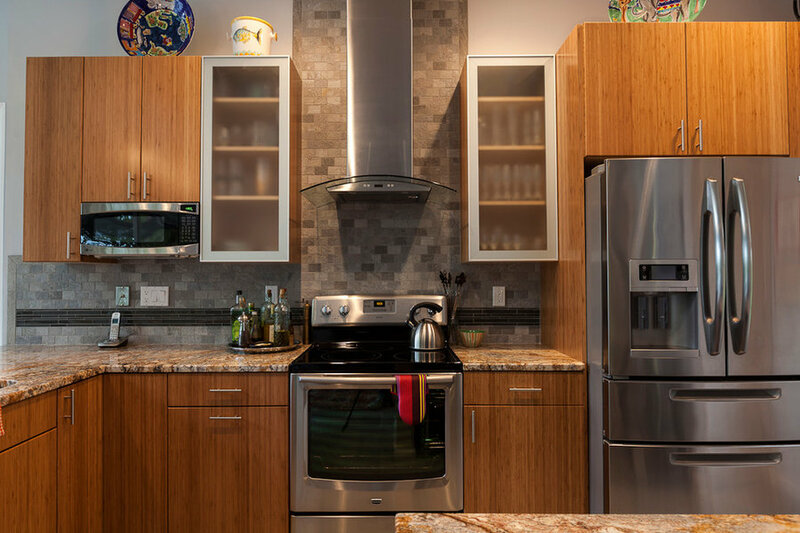 In the kitchen, the caramel creaminess of the bamboo cabinetry in this open-format kitchen is counter-balanced by the grey tile and salt and pepper ripple in the counters. 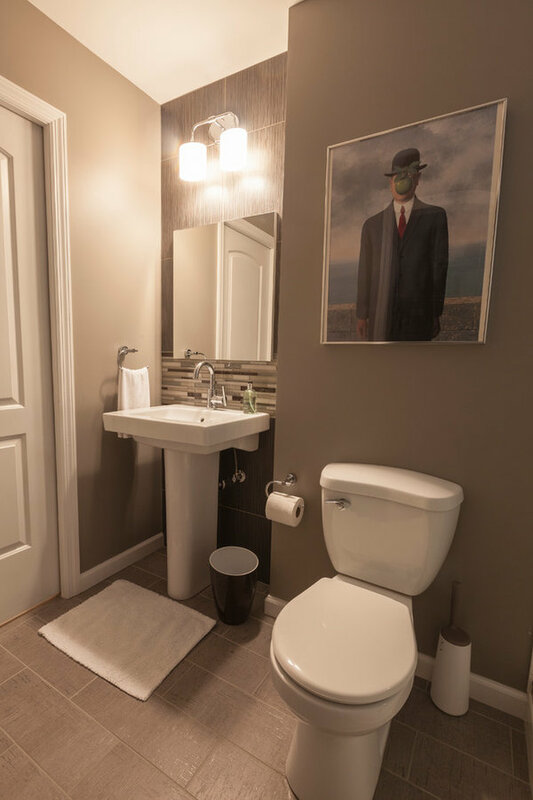 Quite a tasty combo. 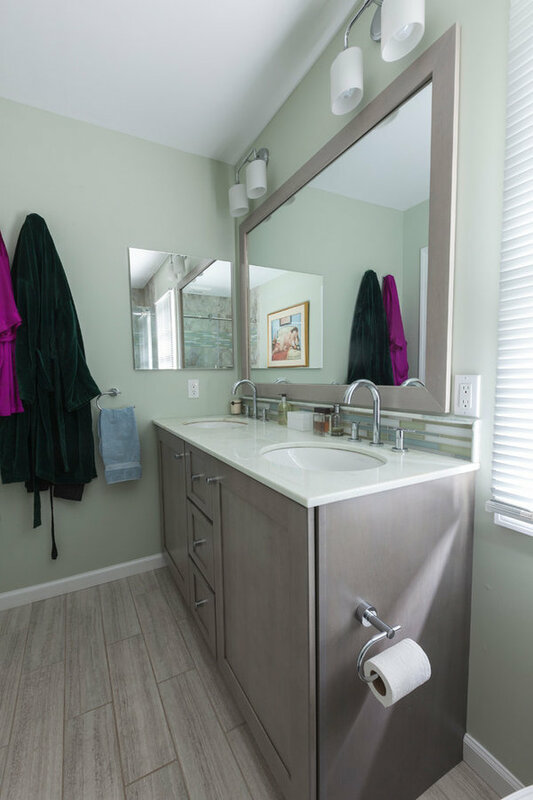 The master bathroom in this lake-side summer home is a tranquil retreat. 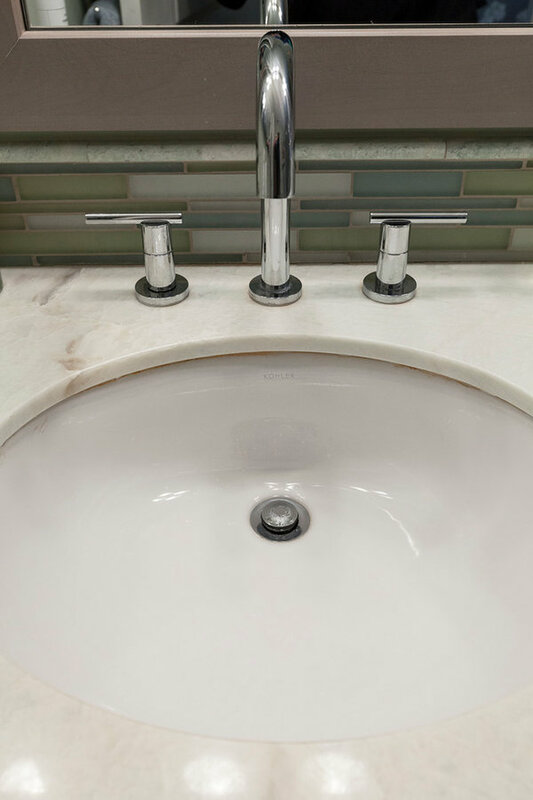 The cool-toned palette lends sophistication yet maintains a youthful airy quality. 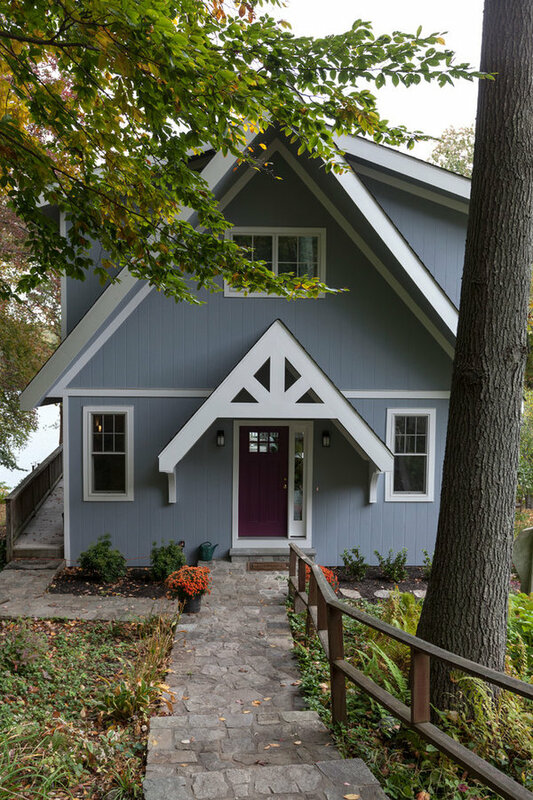 It’s adult yet playful, just like the homeowners. 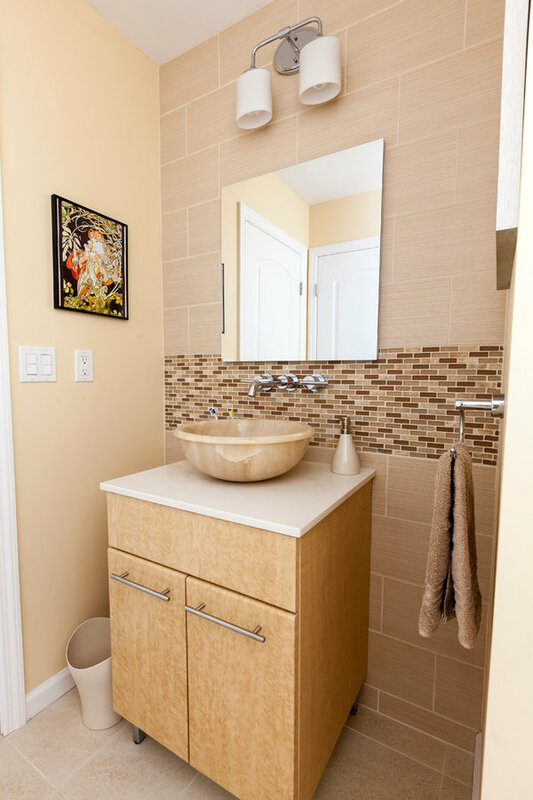 The on-suite guest bath proves that a neutral palette doesn’t have to be boring. 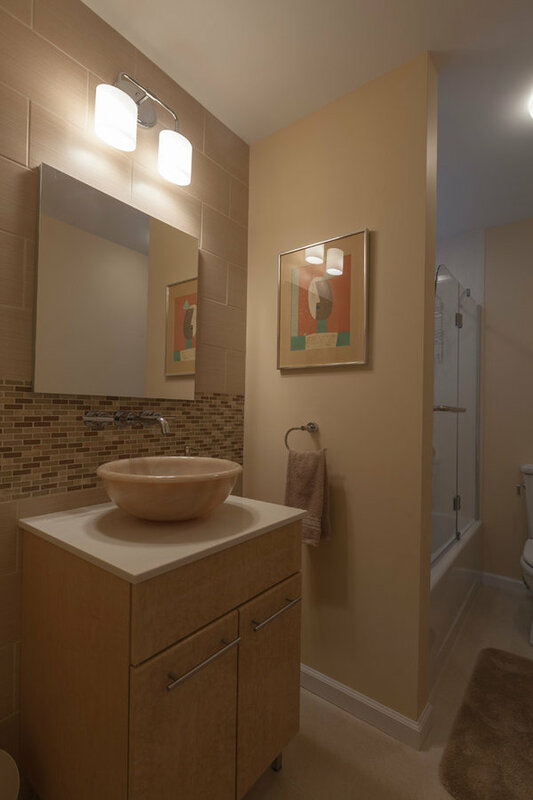 The space is warm and inviting. 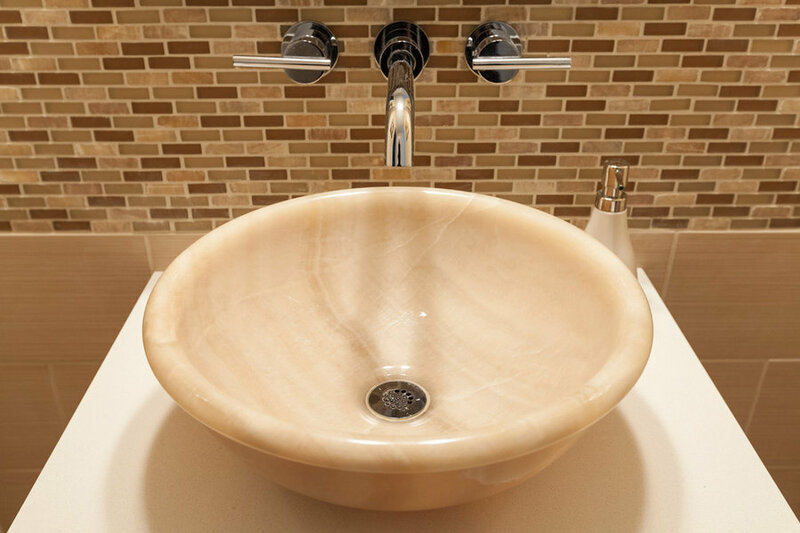 Combining bird’s eye maple with honey onyx creates unique retro interest while still being current and modern. 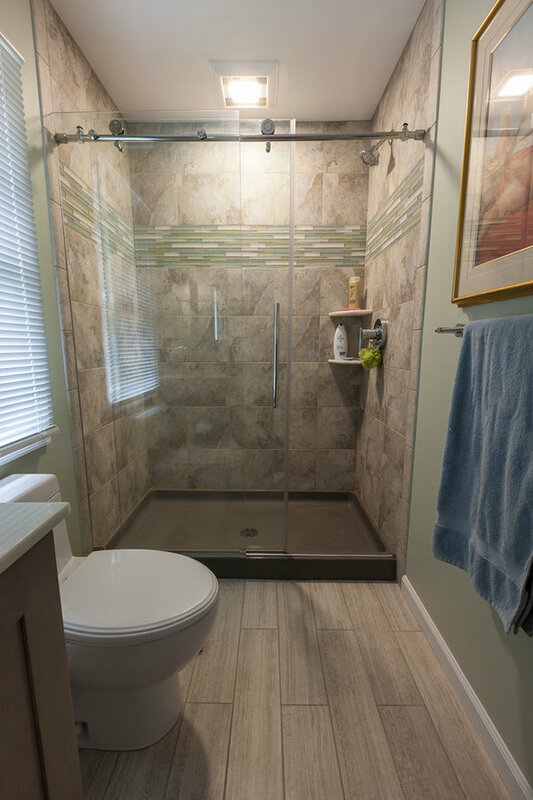 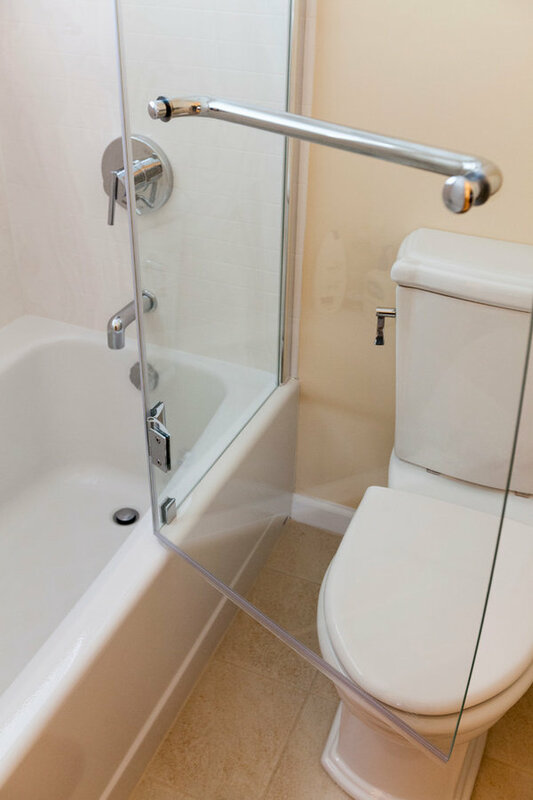 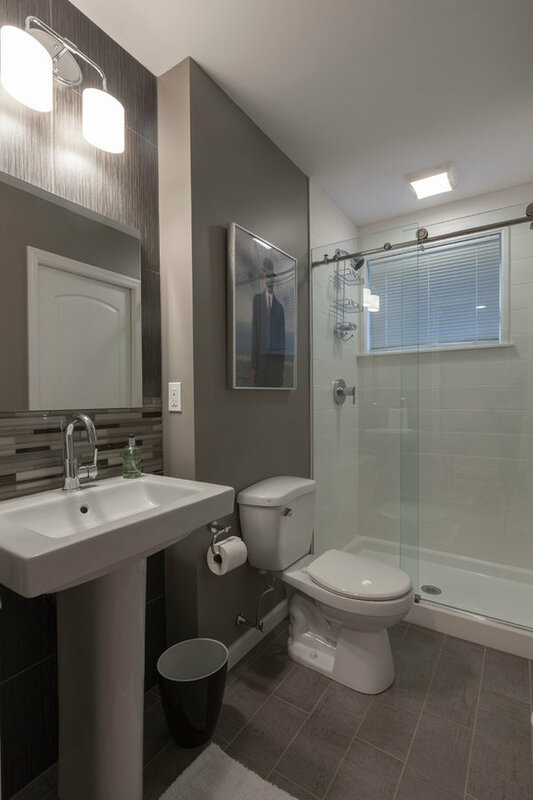 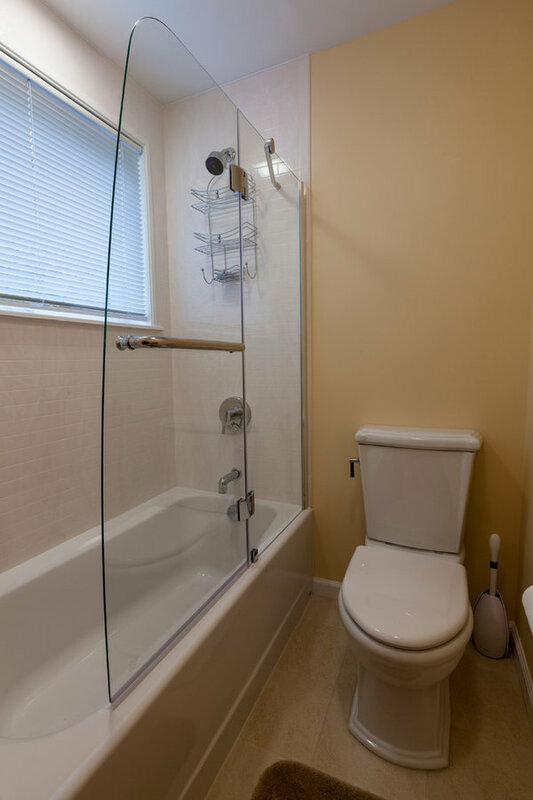 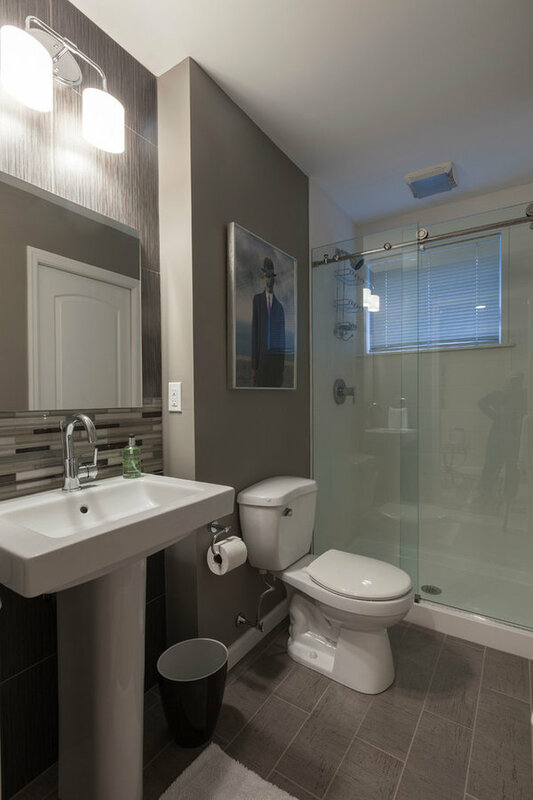 In the hall bath, small space comes with big style. 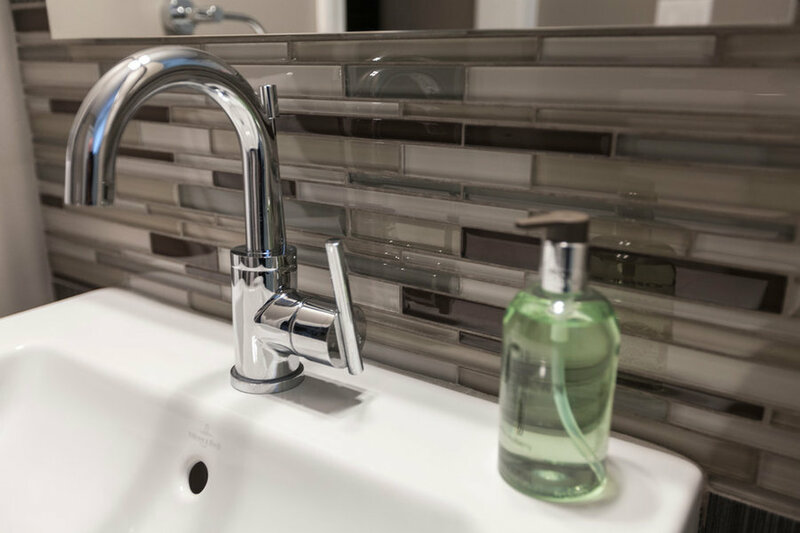 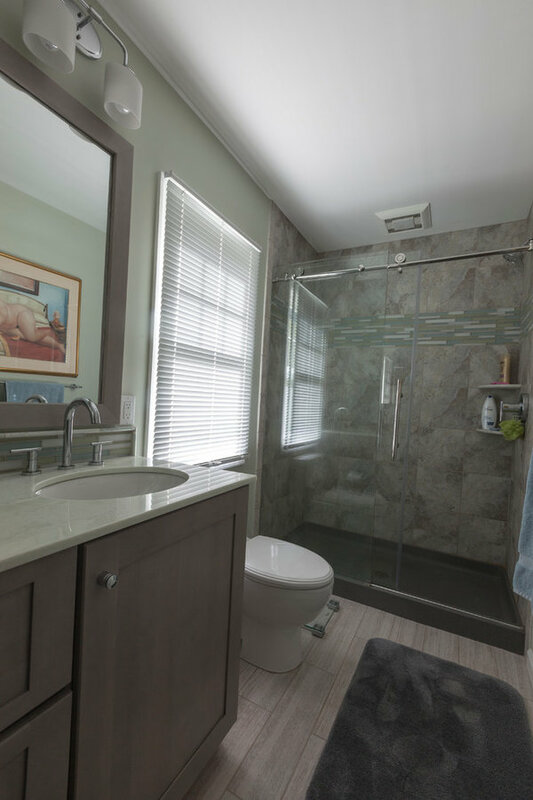 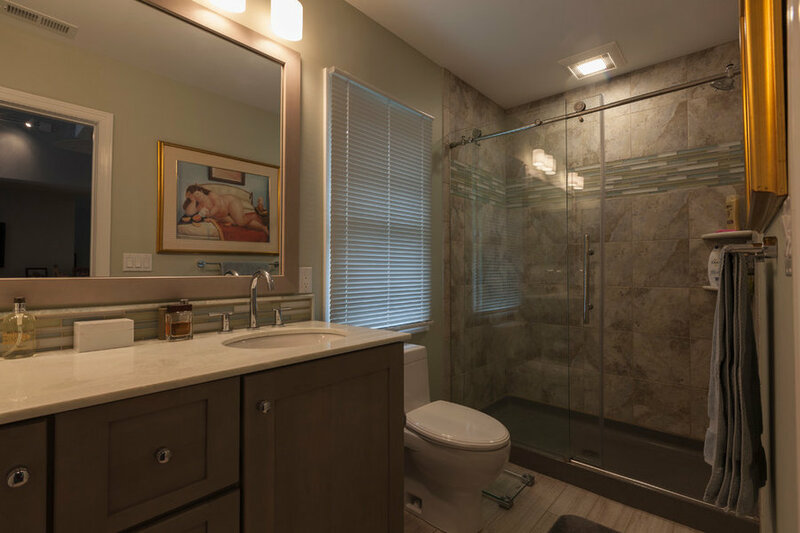 Metallic accents, glass details and chrome finishes add just the right amount of reflective surface to bounce light around the room and bring a cool and collected confidence to this guest bath. 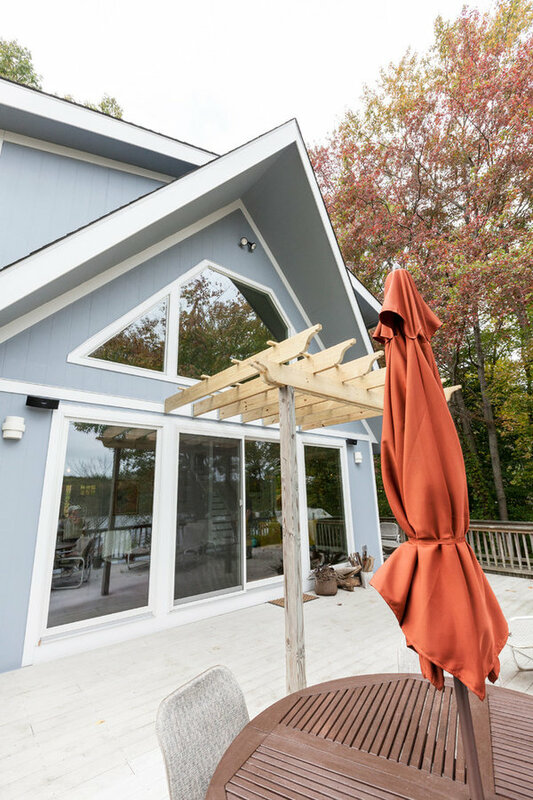 When these homeowners had to tear down their vacation home due to extensive water damage, they decided to make the best of an unfortunate situation and use it as an opportunity to build the getaway of their dreams. 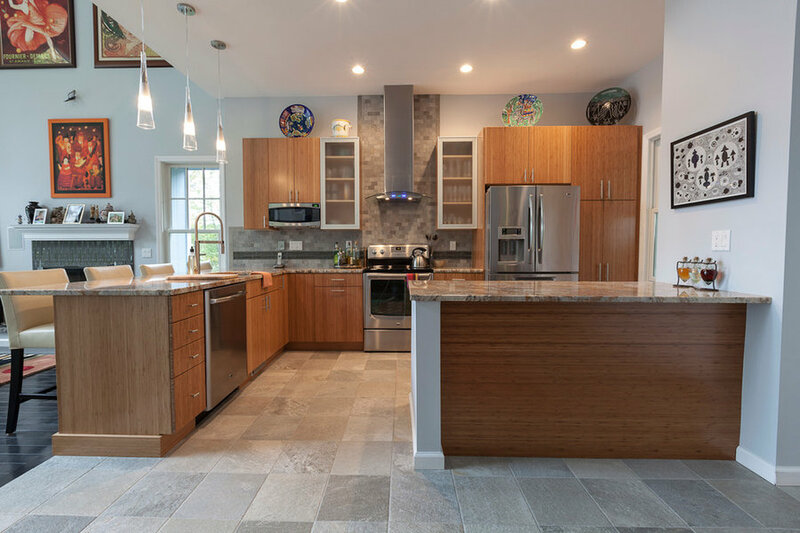 Calling on the experience of Simply Baths & Showcase Kitchens and the design expertise of Rachel Peterson, they designed a new open-concept & modern lake-side escape. 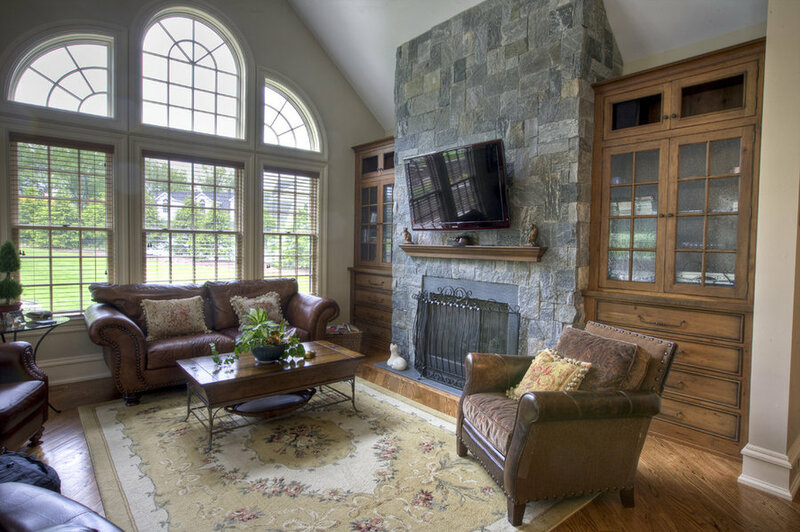 New built-ins and a coordinating mantle perfectly frame this rustic fireplace and create a sumptuous living room that invites you to kick-back and relax. 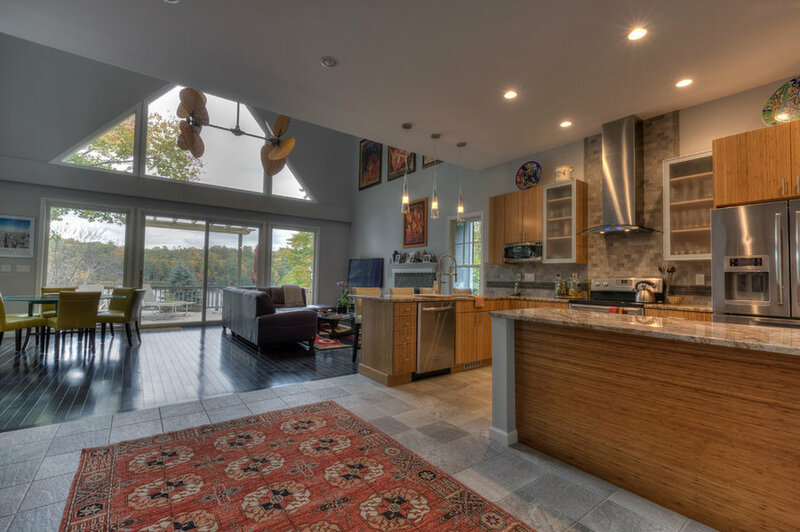 Lofted ceilings and tremendous views of the lake make this contemporary space a perfect getaway and also the perfect place to entertain. 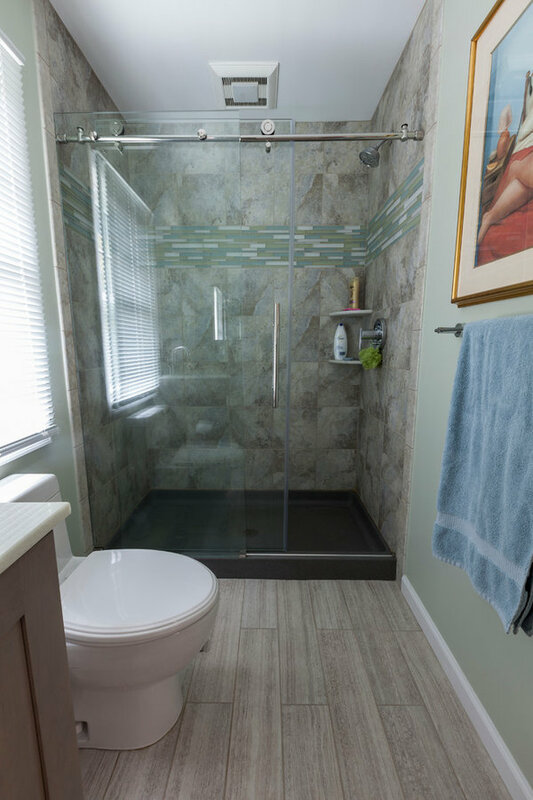 The ocean-inspired details of this bathroom are subtle with a driftwood finish on the cabinetry, a worn driftwood-look floor tile and a sea glass-inspired mosaic accent. 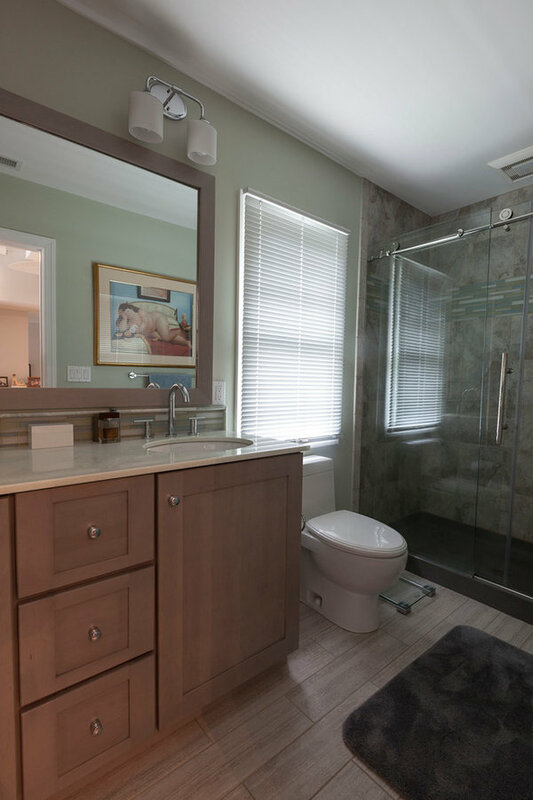 Without being garish or overly nautical, this bathroom exudes beachy relaxation in a contemporary aesthetic. 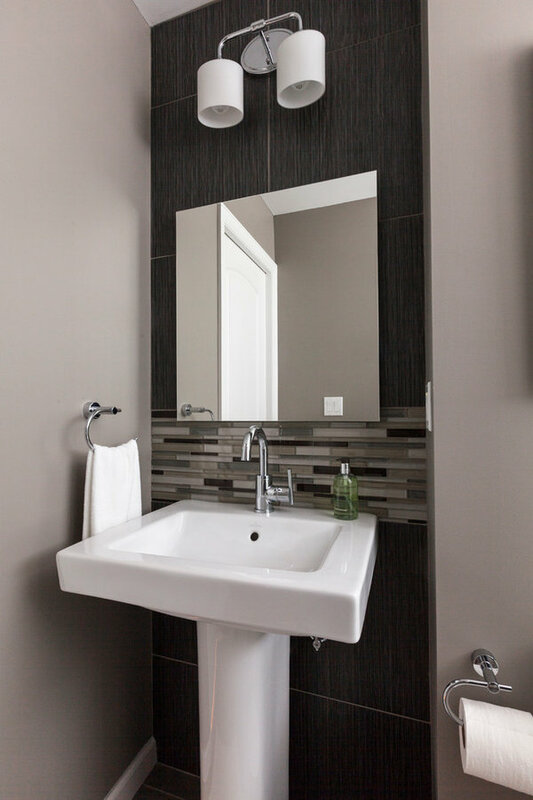 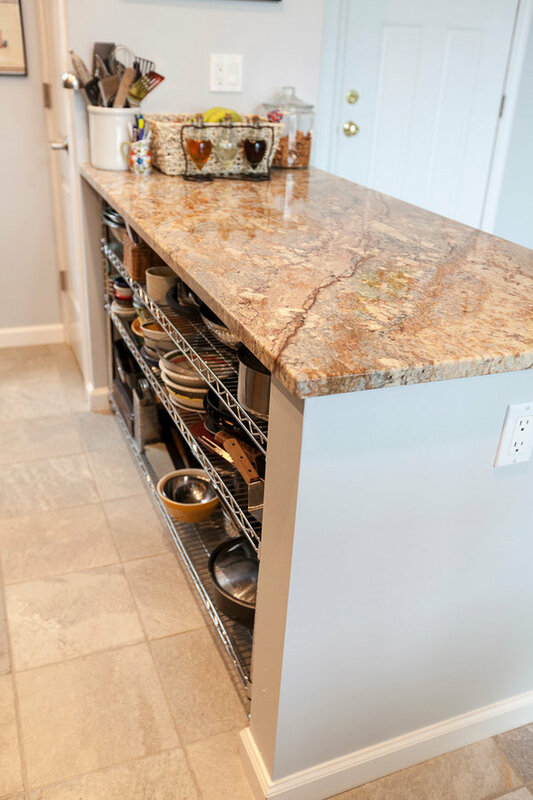 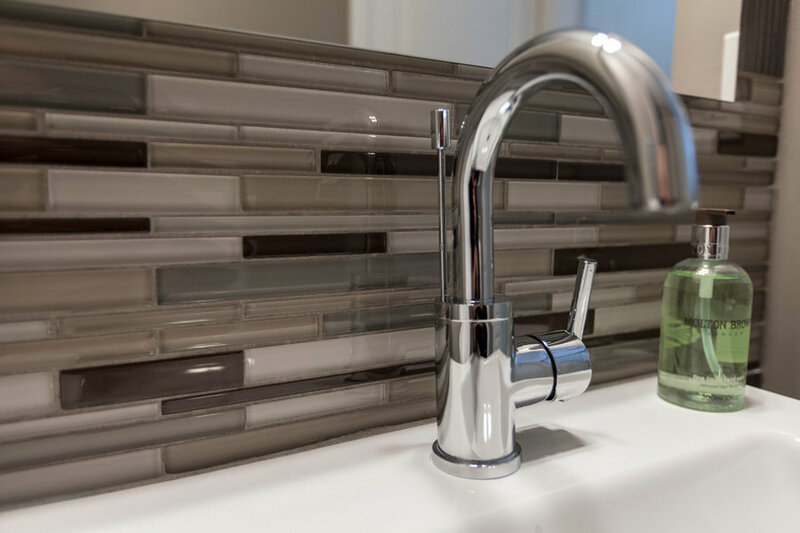 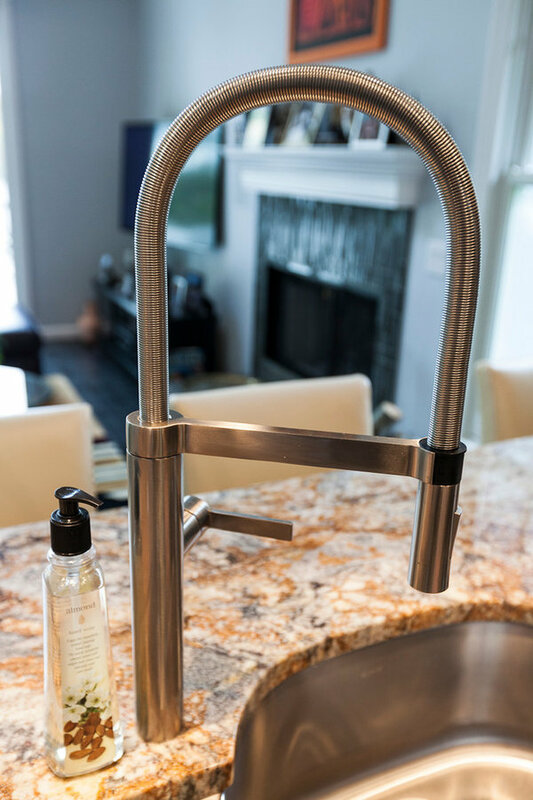 The polished chrome finishes and the clean lines of the cabinetry and tile work bring a modern edge to the space. 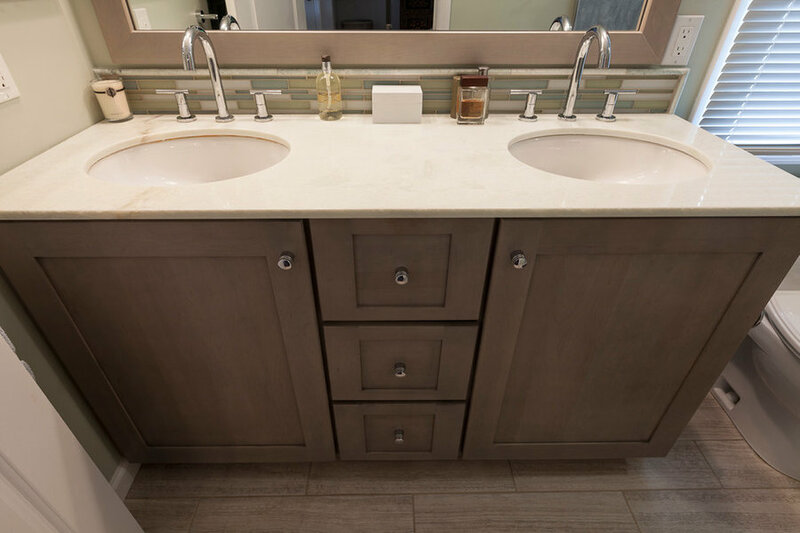 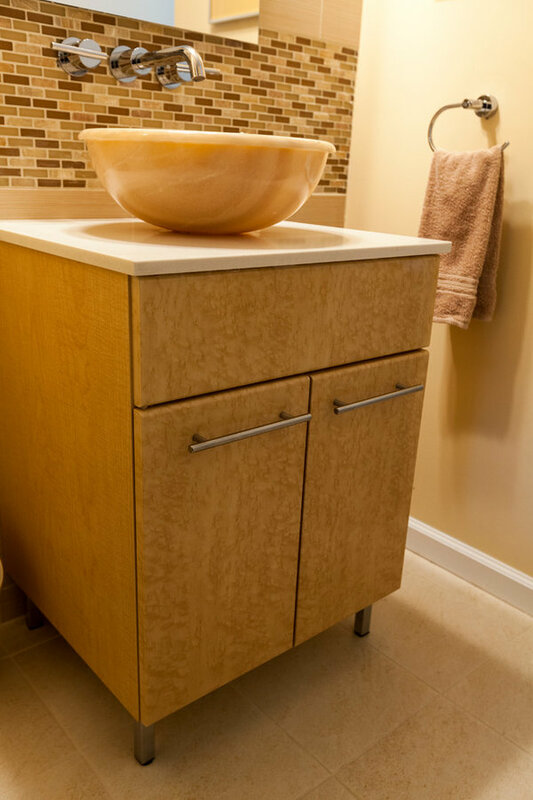 The combination creates a casual, inviting and playful master bath.